David’s House is excited to announce that we will have 20 spots available before the official CBHM registration opens. 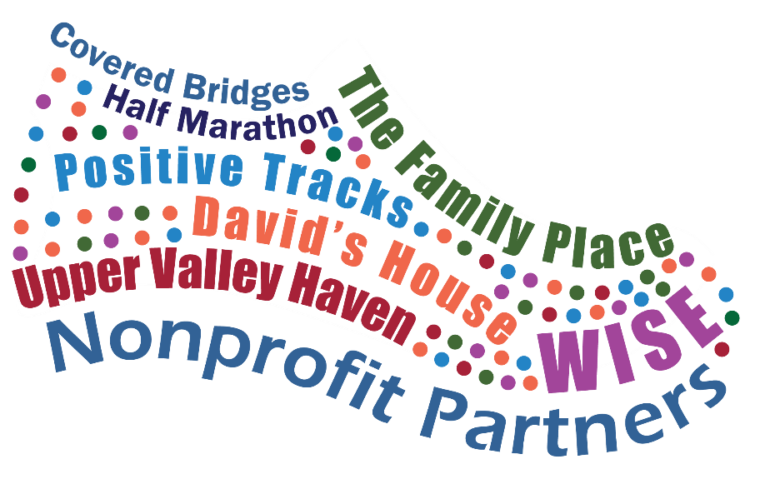 Early registration for David’s House and our non-profit partners (Upper Valley Haven, WISE, The Family Place, and Positive Tracks) is open! You don’t want to miss out on the opportunity to be part of the best 13.1 miles in Vermont! Covered Bridges Half Marathon is a community-based road race held the first Sunday in June. The best 13.1 miles in New England. Experience some of Vermont’s covered bridges while supporting David’s House. As a member of Team David’s House, you will be asked to help us reach our fundraising goal by committing to a personal fundraising goal of $500 (tax deductible). Throughout the six months leading up to CBHM you will receive promotional fundraising support, access to a personalized fundraising page through GiveGab, as well as fundraising tips and advice. On race day team members are invited to join us prior to the in the gathering tent for snacks and refreshments, runners photos, and exclusive runner’s gifts. Transportation of gear from the Start to the Finish lines will be provided. We can’t wait to see you on race day!